Hope everything is going well for you guys! It’s been a pretty good week. We had a baptism this last Saturday for a girl that we’ve been teaching named Bleysing. It went well except for the fact that the church didn’t have any water and it took the font about an hour and a half to fill up all the way… I conducted the baptism and my companion did the baptism because, in Bleysing’s words “I’ve seen him baptize. I don’t believe that you can do it because i haven’t seen you do it before.” But it was cool having our first actual baptism (the other one was more of the hermanas’ than ours). Bleysing seems to be pretty committed to continuing to go to church (even though it was super hard to get her to start going). This next week we have a baptism planned for the brother of a member here and its super cool because he has been reading the “gospel principles” book and taking notes and everything. 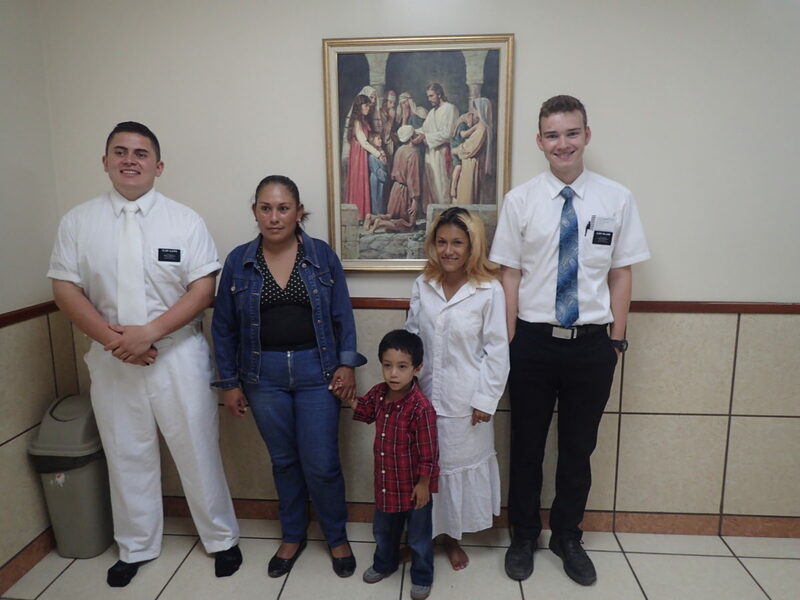 He went to Bleysing’s baptism and decided to stay here for a while (even though he normally lives in Guatemala) so that he could prepare for his baptism. Hermano Pastor is still recovering from his disease but hopefully he can come with us to church this week. We still haven’t found a new house but we’re going to go check one out later today. Mold has now started growing on: my toiletry bag, my companion’s pants, one of my suitcases, and my proselyting bag. Last night I woke up at like 2 because I’m sick and I was met by the sight of a 3 inch long cockroach above me on the ceiling. I did get a guitar and it’s awesome but I forgot to get a picture of it this week… I was going to help out in a musical number for sacrament meeting but it was too difficult to carry it for the 2 hours before church that we go by all of our investigators. 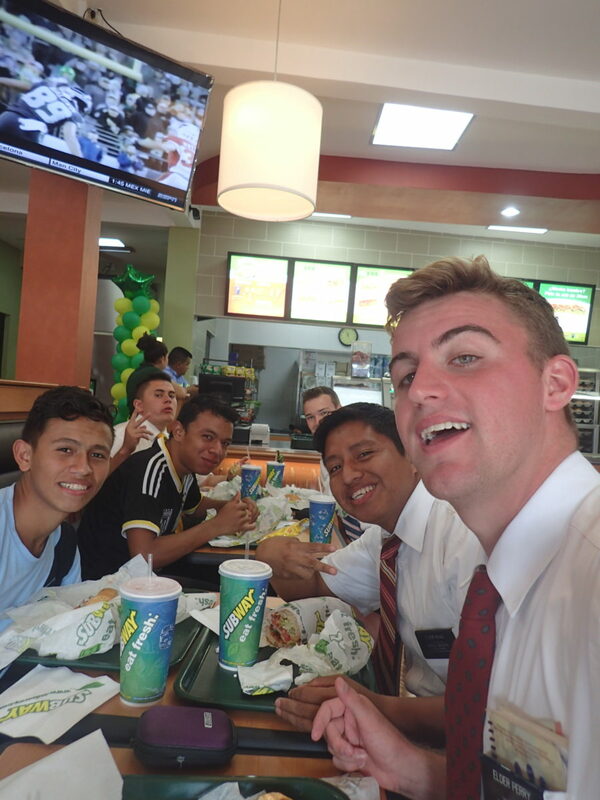 So instead Alofipo, my comp, had to go up there and sing with one of the sister missionaries in our area and a member. I got cussed at and then bit by a 4 year old kid this week. I was told 4 times this week that my eyes are “super pretty”. One of the people also said that I have “cat eyes” because they are too colorful… One person also told me that my nails are really nice too. I ran into a roof of a food cart (everything is too small here) and cut my head a little bit so that wasn’t too fun. I could hear a few nicas laughing at me after I hit my head. It’s not my fault I’m not miniature too. That’s about all I can think of. ‘Till next week.